During the last several weeks, we’ve been mobilizing our members to demand that the EPA stop spinning its findings in favor of the fracking industry. While the EPA found several cases of water contamination from fracking in its most recent study, they released a misleading press release that stated that fracking has “not led to widespread, systemic impacts to drinking water resources.” The EPA had a public comment period on the study that ended on Aug. 28. 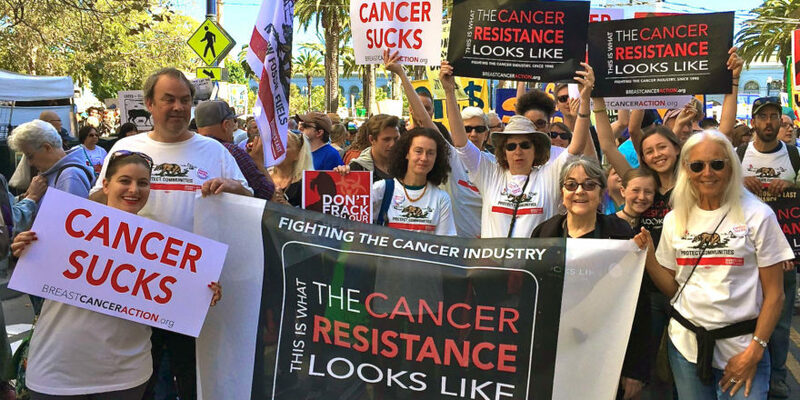 As a member of Breast Cancer Action, who recognizes that the breast cancer epidemic is a public health crisis, I am publicly calling on the EPA to highlight the truth about water contamination from fracking when the drinking water study is finalized. Fracking exposes all of us across the U.S. to toxic chemicals linked to increased cancer risk. The rapid expansion of this industry is a grave public health concern. A 2011 study by the U.S. House of Representatives Committee on Energy and Commerce identified more than 700 chemicals commonly used in fracking—and 25 percent of them are known or potential carcinogens, while 37 percent of them have been identified as endocrine-disruptors. Already more than 1,000 different cases of water contamination have been documented near fracking sites nationwide. Several of these were captured in the recent EPA report, despite a limited study design based on industry-controlled information. Yet, instead of highlighting these findings, the agency’s press release about the draft study downplayed health concerns and deceptively declared that fracking has “not led to widespread, systemic impacts to drinking water resources.” The fracking industry celebrated this quote, which provides cover to the fracking industry as it continues to poison our drinking water with toxic chemicals linked to breast cancer. The public cannot wait until the impacts of fracking on our drinking water become “widespread” or “systemic.” As someone who is committed to addressing and ending the breast cancer epidemic, I know we need to take action now to stop cancer before it starts. I urge the EPA not to diminish or downplay the results of the study on fracking and drinking water but rather to take a strong stand on fracking’s true dangers. Our health is on the line.